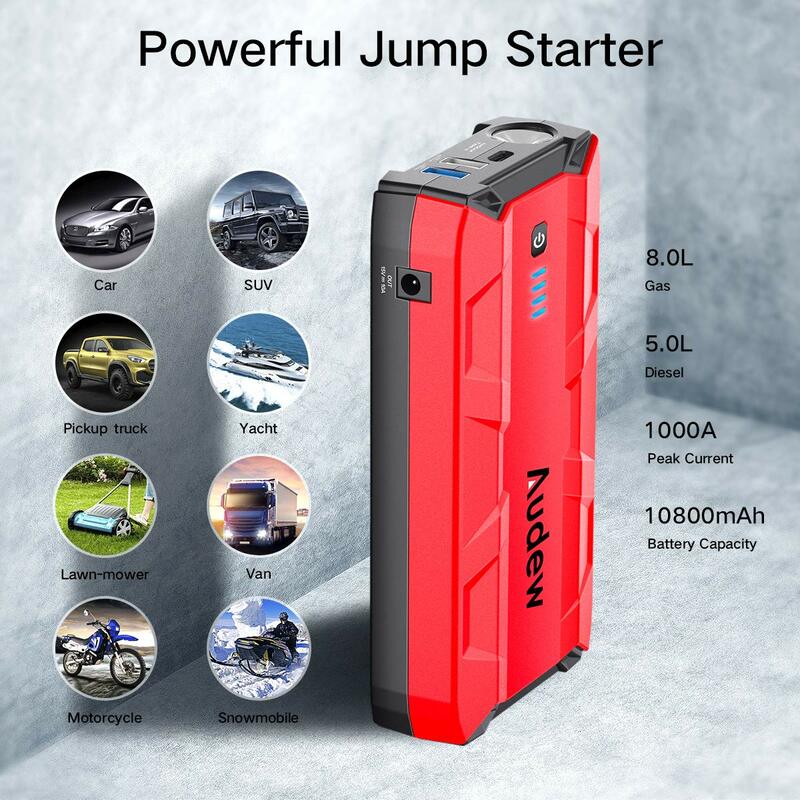 ✔【Powerful & Compact】- AUDEW jump starter uses high rate Li-ion Battery instead of a normal one to makes it easier for you to start most 12V vehicles (up to 8.0L gas or 5.0L diesel or motorcycles , RV, tractor, lawnmower, speedboat, etc) up to 30 times with 1000 Amps peak utilizing heavy duty clamps and cables. 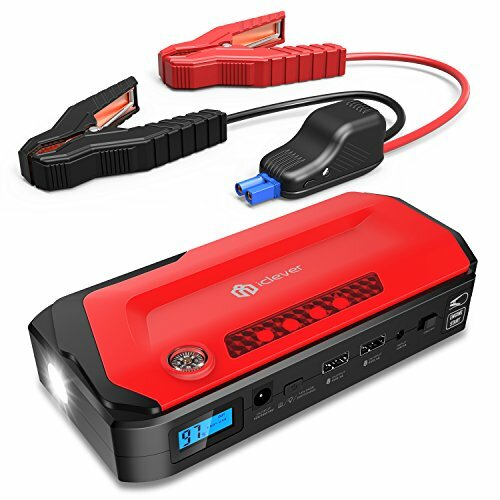 Compact enough to store in your glovebox or console. 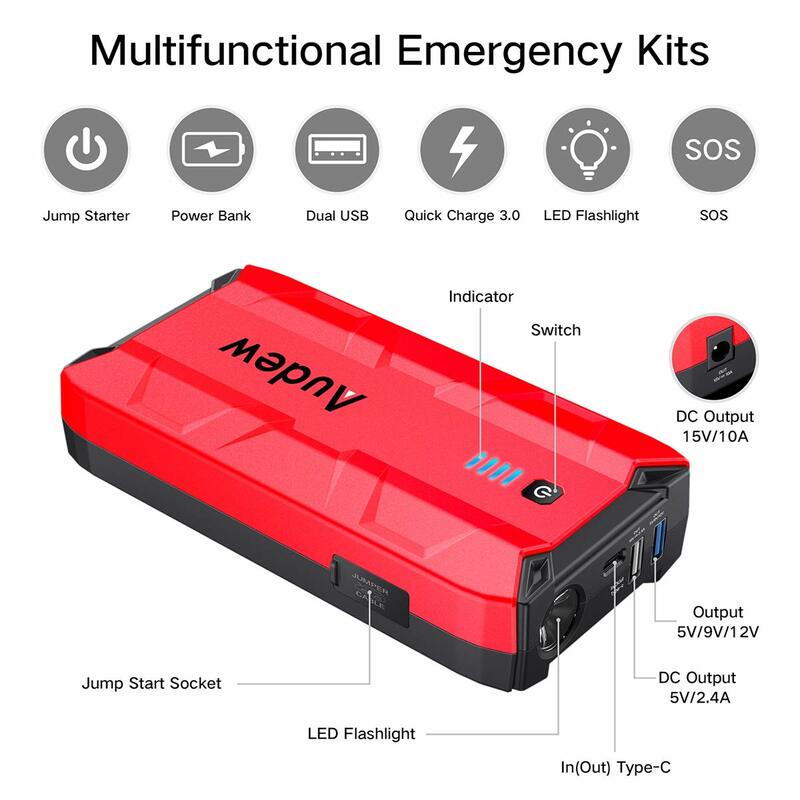 With 1000A Peak of power, the car jumper is powerful enough to start most 12V vehicles up to 8.0L gas or 5.0L diesel or motorcycles , RV, tractor, lawnmower, speedboat, etc. 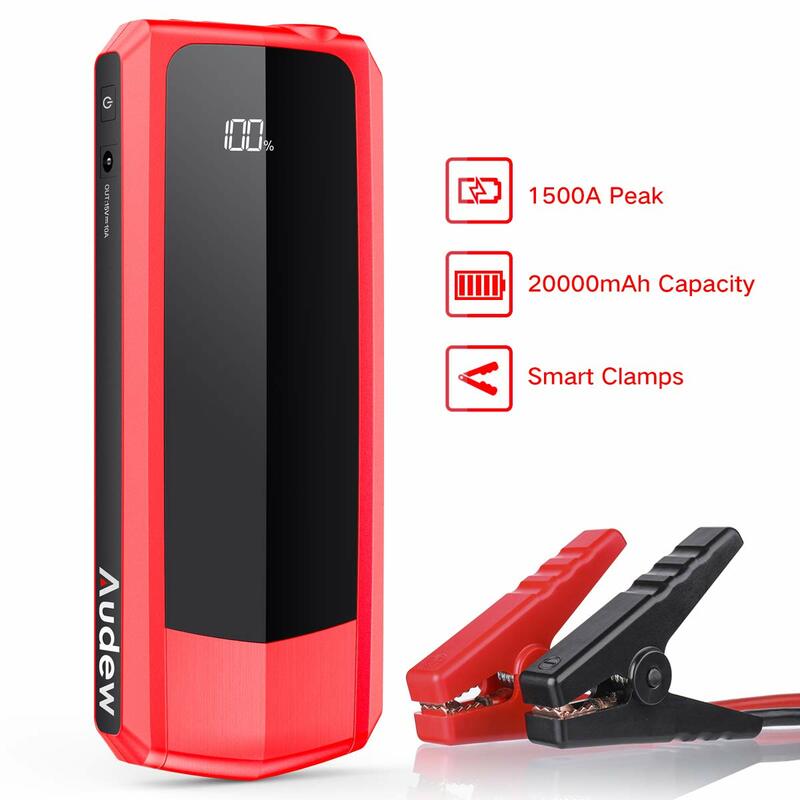 The 10800mah large capacity to jump start your engines over 30 times. 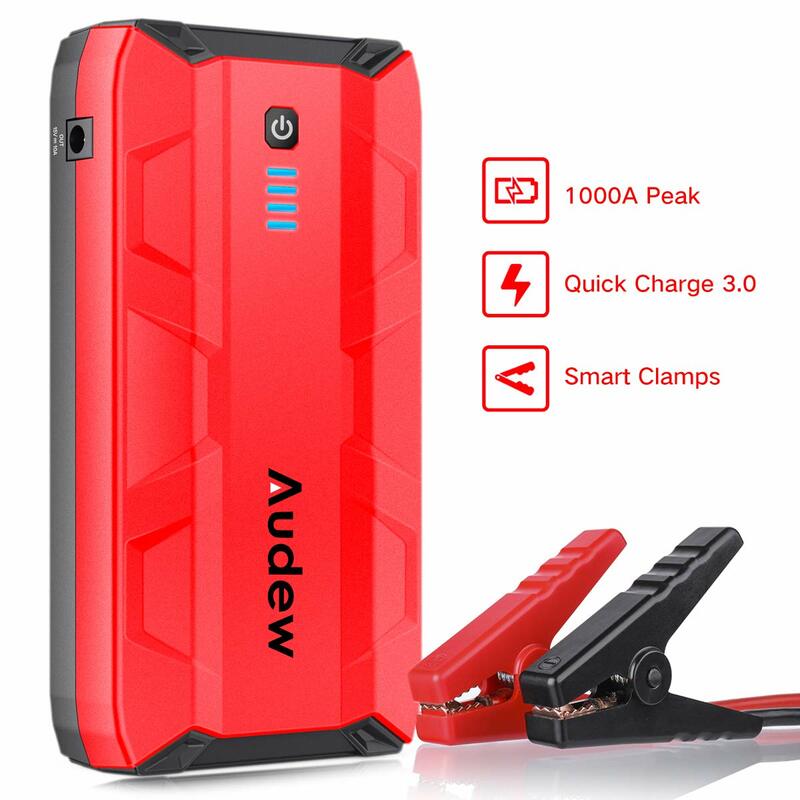 ✔【Power Bank with Dual USB Ports】- This is not just a jump starter, but also a powerbank with 10800mAh capacity. 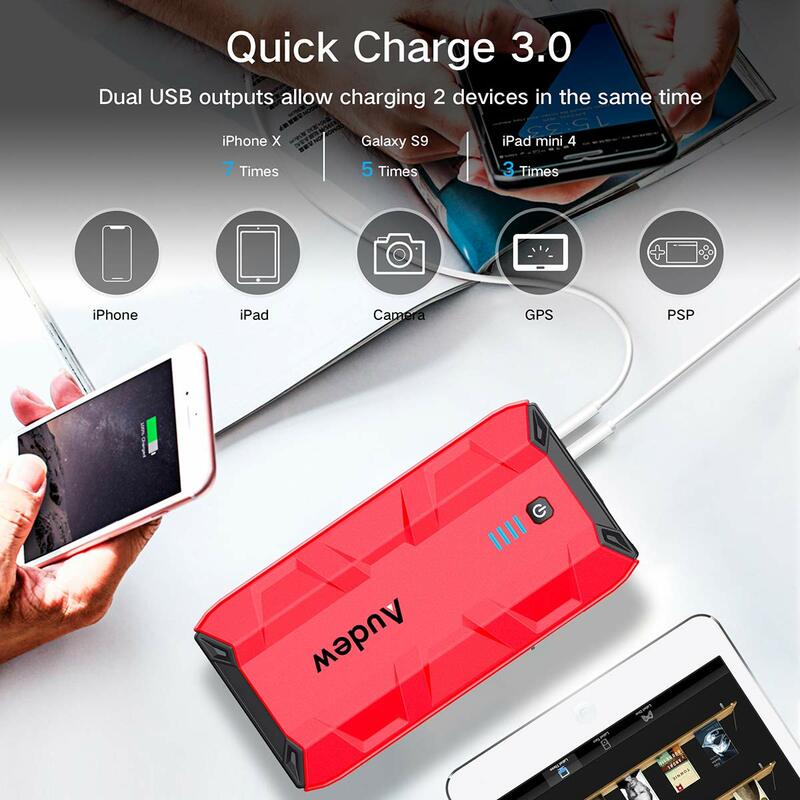 With dual USB ports (Quick charge 3.0), it can quickly charge two devices simultaneously such as phones, tablets, cameras & other electronic devices. 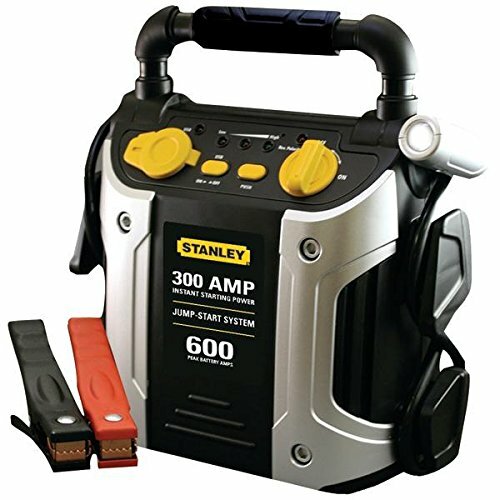 Automatically identifies the parameters of electronic products and protects them from overcharging. 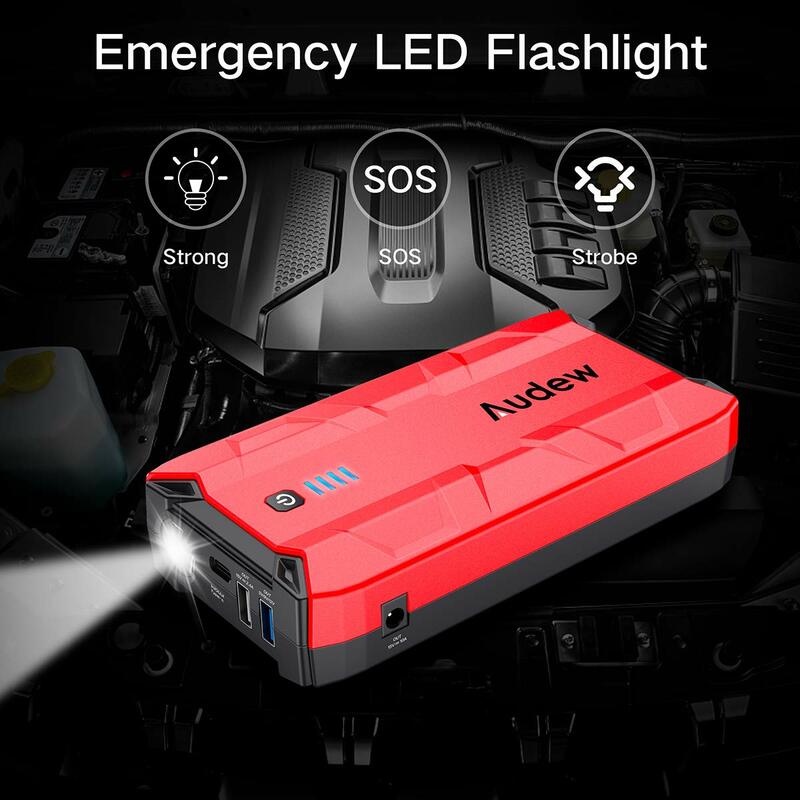 ✔【What’s Included】- AUDEW jump starter, 12V battery clamps, USB cable, storage case, user manual, 12 months 100% FREE warranty & 180 days money back & 24/7 friendly customer service. 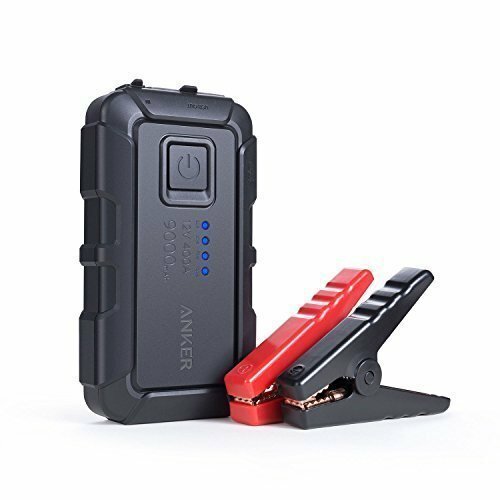 Order with confidence for complete roadside safety and peace of mind.